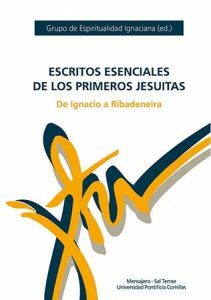 Grupo de Espiritualidad Ignaciana (the Ignatian Spirituality Group) has published a new collection of writings by the first Jesuits. Escritos esenciales de los primeros jesuitas. De Ignacio a Ribadeneira includes writings on doctrine and spirituality by Ignatius and his nine companions in Paris as well as other early Jesuits–such as Francis Borgia, Jerónimo Nadal, Juan Alfonso de Polanco, Luís Gonçalves da Câmara, Peter Canisius, Baltasar Álvarez, Antonio Cordeses, Everard Mercurian, and Pedro de Ribadeneira. The volume also features materials from the first three General Congregations of the Society of Jesus. — J. Carlos Coupeau, S.J. — Diego M. Molina, S.J. More information about this title is available at the Loyola Grupo de Comunición and the Society of Jesus in Europe.